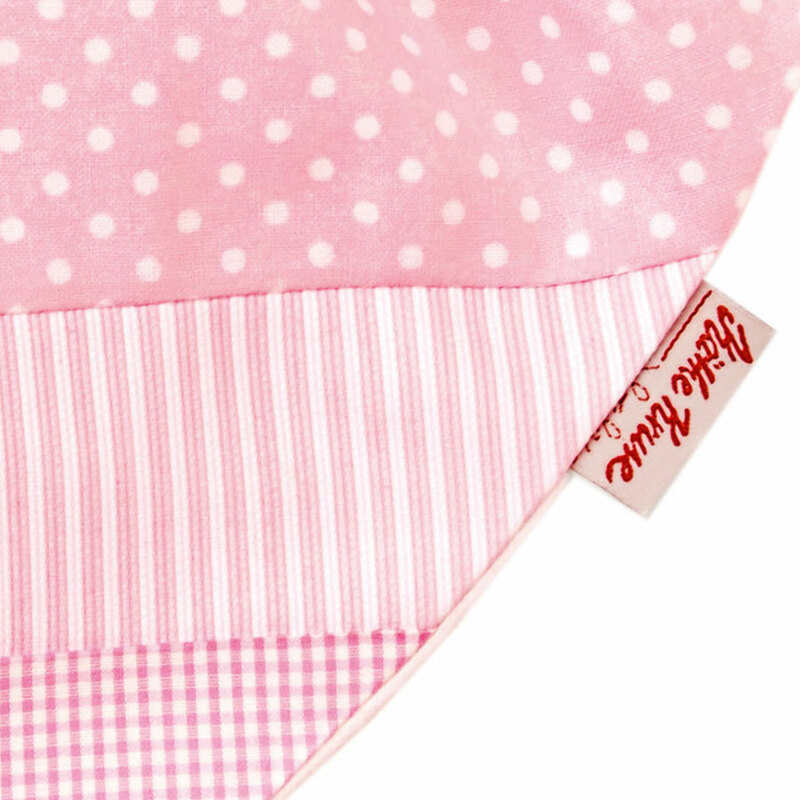 The organic Waldorf pink pattern towel doll is made from soft, organic cotton fabric and flannel with a hand-detailed face. 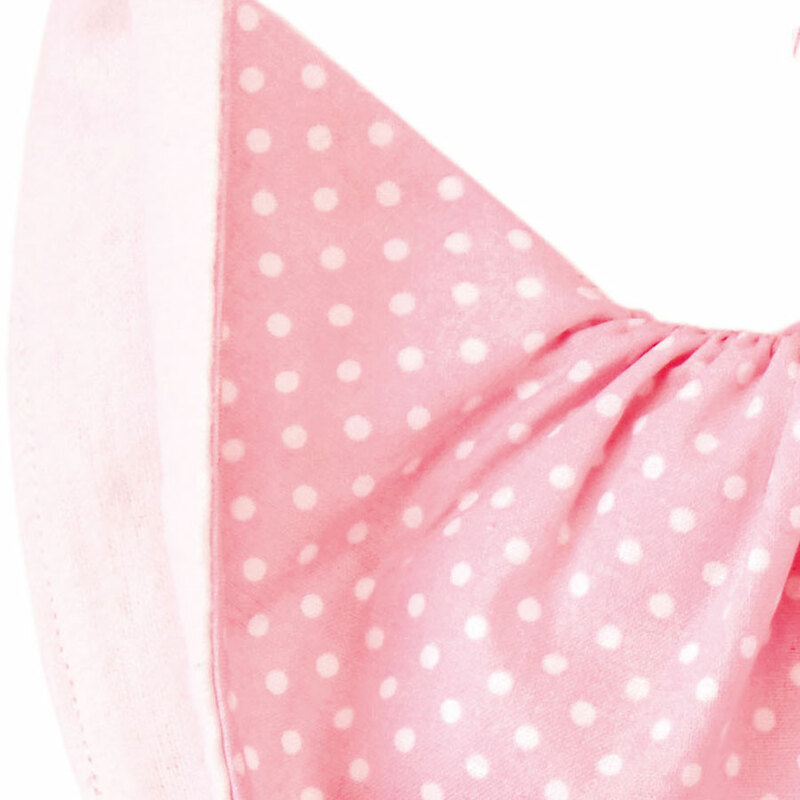 The doll has a matching knotted hat with an internal cord and knotted "legs" for finger play. All materials are antialleric. 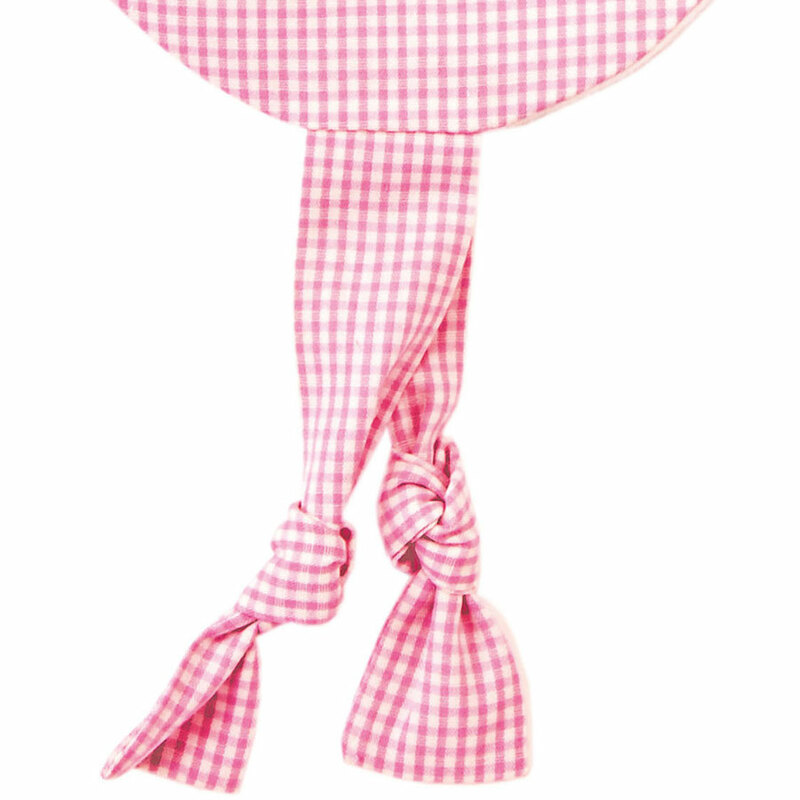 The towel doll is one of the original Käthe Kruse products, now available as organic. 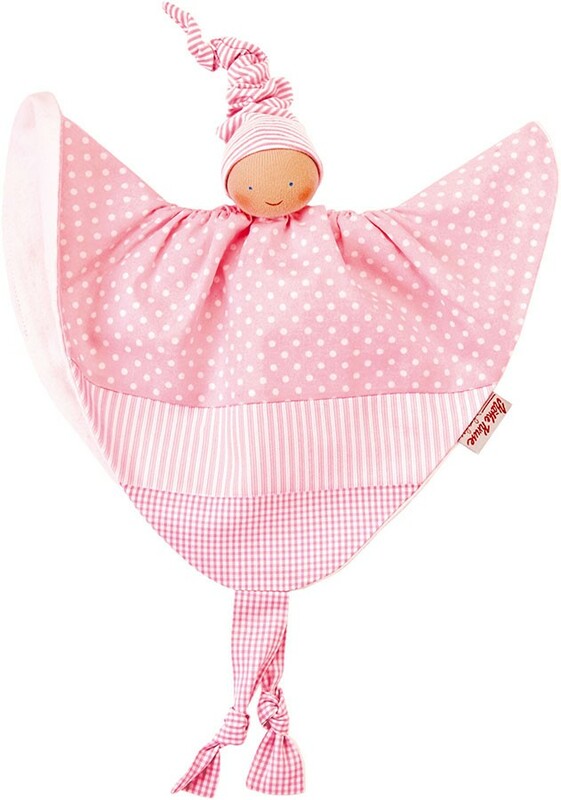 Towel dolls are perfect companions for infants and babies as they adopt familiar smells of mommy and daddy and the home, providing comfort and familiarity. 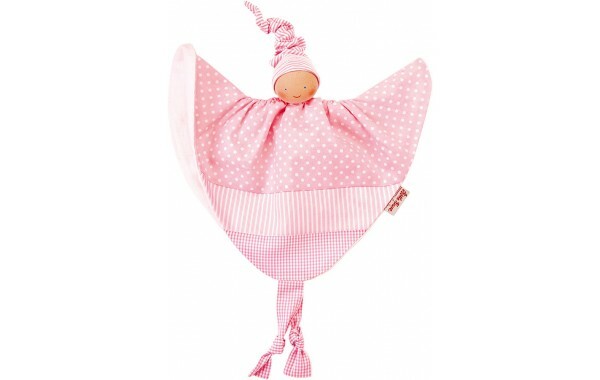 The pink pattern towel doll is a healthy and safe companion for your baby from day one and also makes an ideal baby gift.